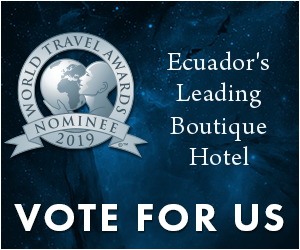 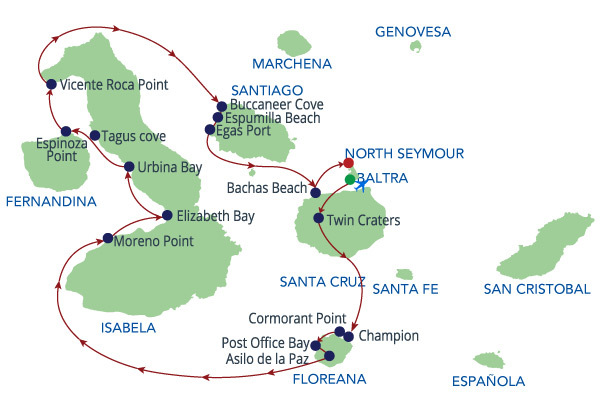 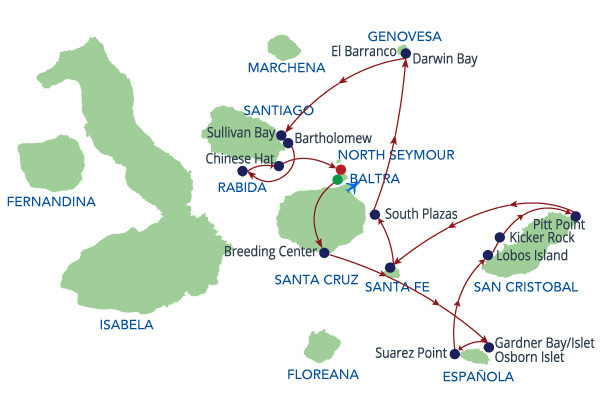 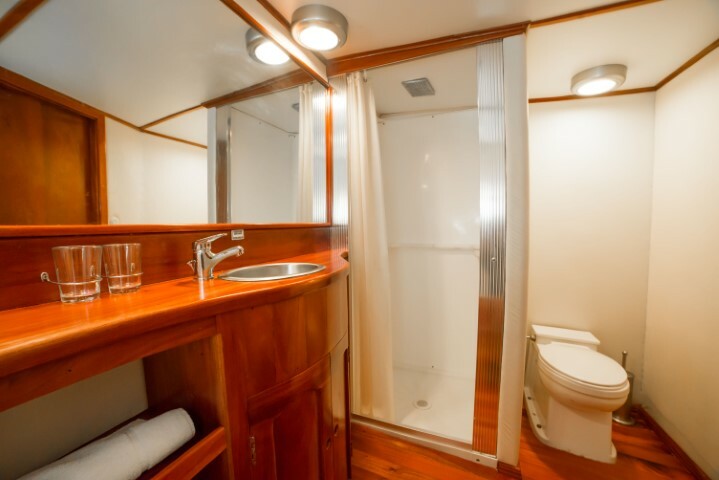 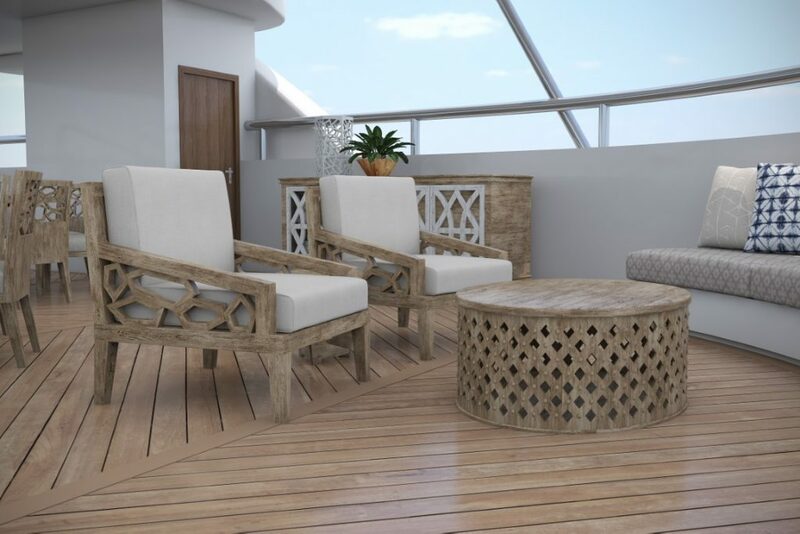 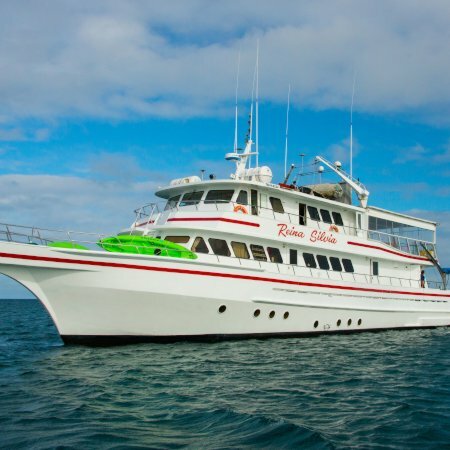 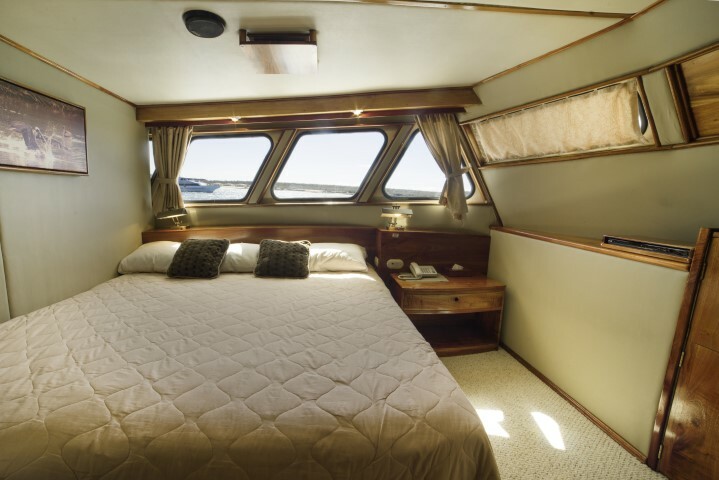 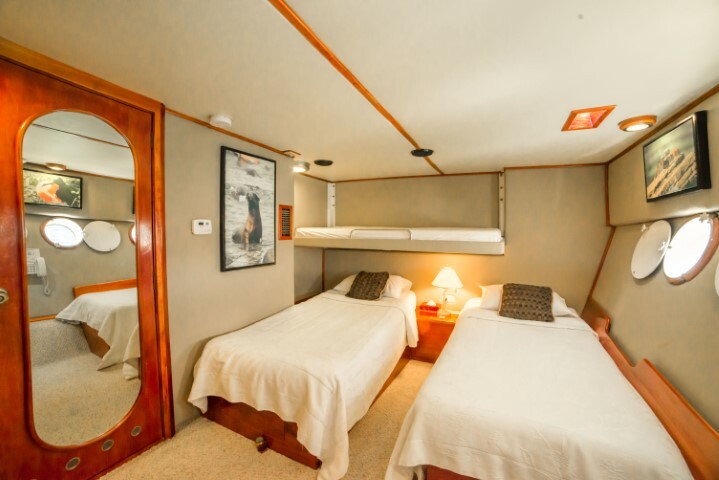 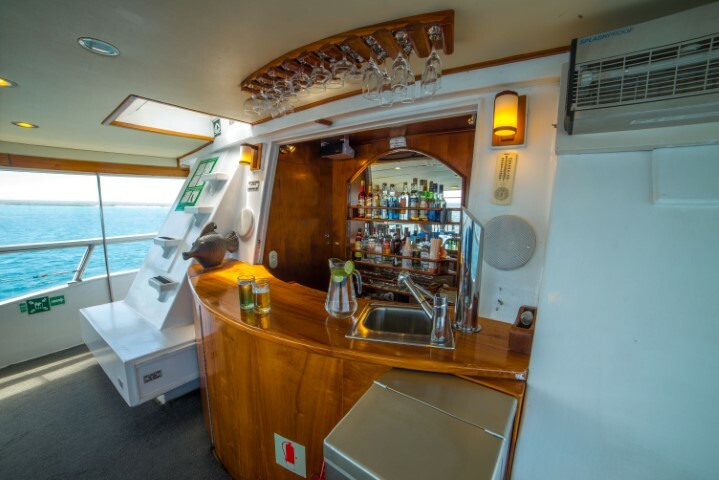 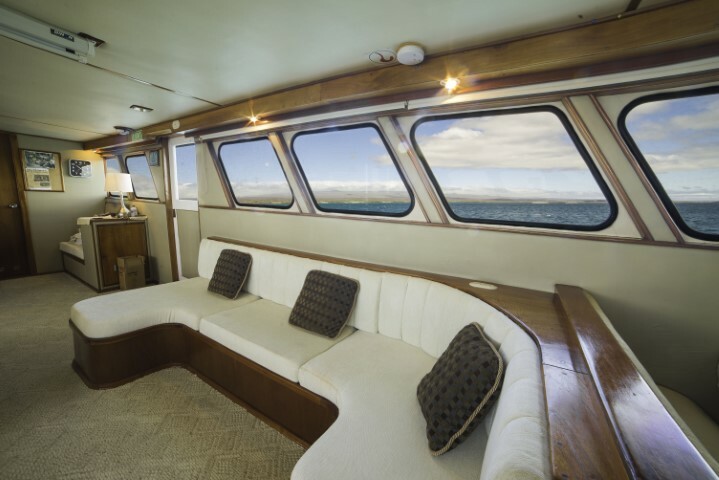 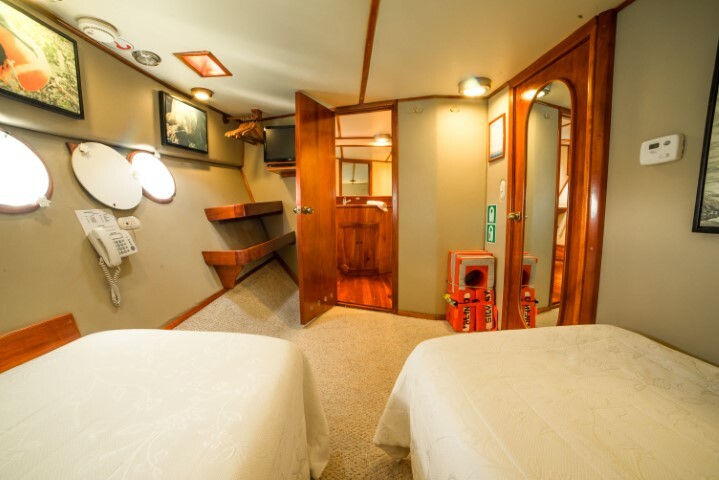 Reina Silvia is our favorite suggestion for families and or groups of friends who want to enjoy a cruise together through the paradise that the Galapagos Archipelago is. 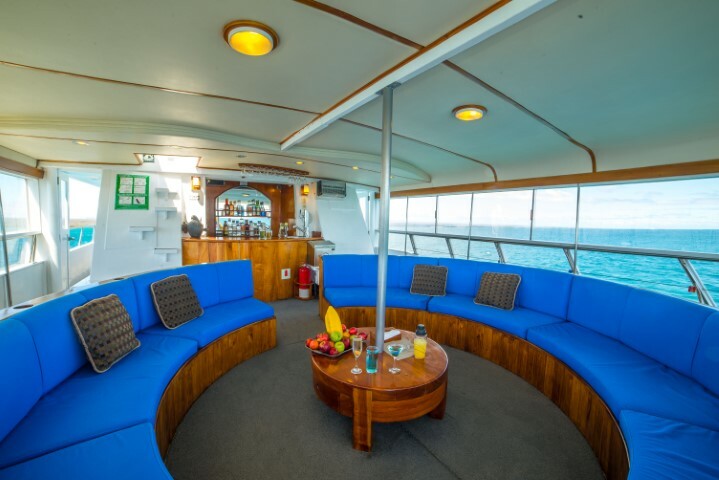 With a capacity of 12 to 16 passengers, was specifically redesigned to accommodate for close groups that are looking for a comfy and an adventure-like experience. 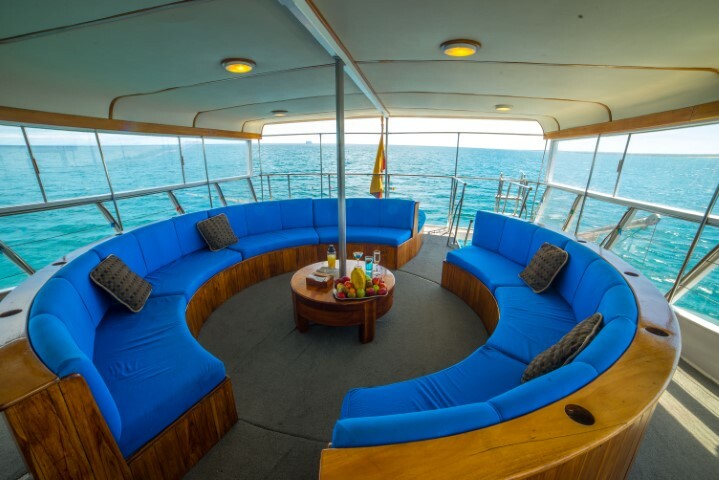 Reina Silvia offers a covered lounge right next to a swimming and diving platform where parents can check on their youngers while they snorkel or kayak or rest between activities while enjoying a drink or cocktail; ample bathrooms and comfortable beds will be waiting in ac equipped stare rooms after activities to relax. 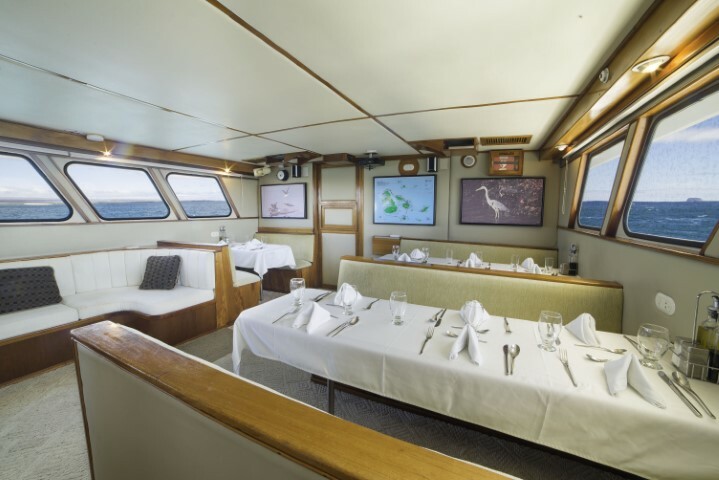 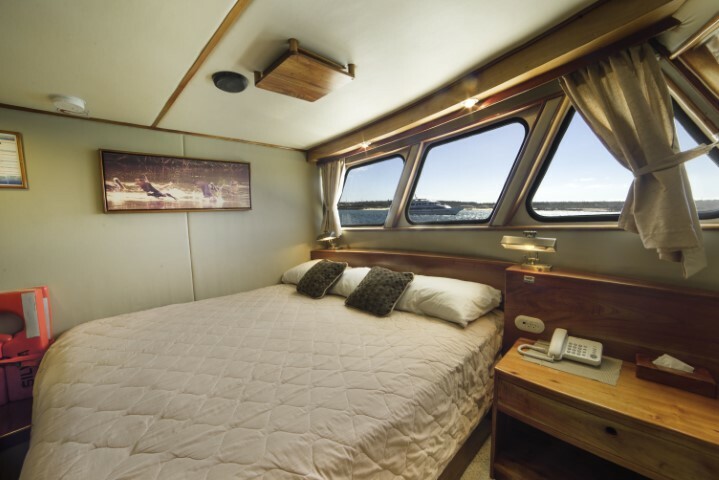 Also, no fine vessel is complete without a highly experienced crew of eight persons, including a certified bilingual naturalist guide, who also offers lectures and conferences on deck about the archipelago and daily tours. 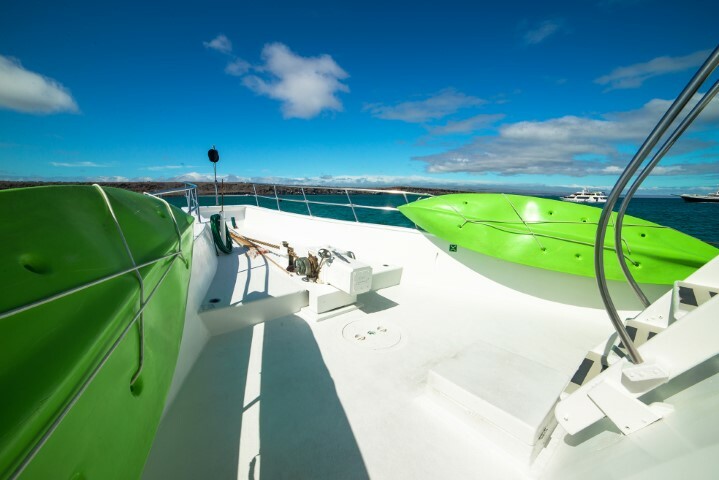 All of this including a very high and up-to-date standard of security and equipment to be expected from your dream vacations.